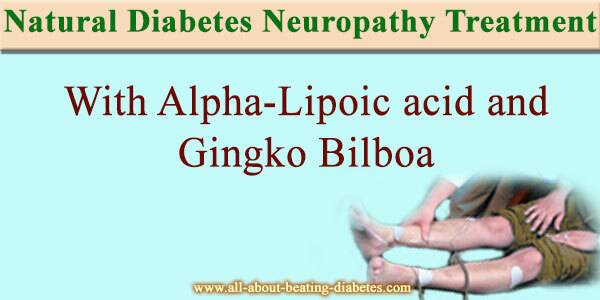 First, understand that diabetic neuropathy is one of the common complications of diabetes. People who have diabetes must expect to develop it. However, if you know that you are having signs or neuropathy pain, you have to gather your strength and search for the best treatment. The treatment is complicated that include many drugs with different actions. However, the drugs that help you regulate your diabetes are the perfect choice as a start for your treatment. Oral anti-diabetes medications like Biguanides and Sulfonylureas are very effective to manage your condition, especially if you suffer from diabetes type 2. If you need insulin as a medication, there are many different kinds of ways to apply the insulin in your body. They are also part of the treatment for diabetic neuropathy. The insulin could be applied subcutaneously, intra-muscular and even there is a form of insulin that is for inhalation. Regulating your blood sugar very carefully is the main thing that you should focus your efforts on. Without the proper regulation of the sugar levels in your in blood, you will make your condition even worse. That’s why it is a must to manage your diabetes properly. There are other drugs that play really important part of the treatment. The peripheral vasodilatators are essential part of the therapy. They represent a group of different medications but they all have the same effect on the blood vessels. They make their lumen larger. That’s how the blood flow to the nerves is increased. If you succeed in that, your peripheral nerves will start to get better. You will regain your feelings in the leg. Although you have to wait for some time before the treatment to have any effect; however, this is proven to be one of the most effective ways to remove or at least slow the down the development of the diabetic neuropathy. Truly, it is a very complicated task to create a good neuropathy treatment for every single patient. Many different patterns are used but they have to be adjusted to every patient’s needs. Herbs and teas are also a good way to contribute to your diabetic neuropathy treatment. Teas will make you go to the bathroom more often. That’s how some of the sugar in your blood will go away because it will leave your system throughout the urine. This is a good way to continue managing your diabetes. Some herbs and almost all teas, because they are hot, have a dilatation affect on the blood vessels. However, their affect is not very long that’s why you have to use medications to achieve the blood dilatation that you need. Return to Diabetes Leg Pain.